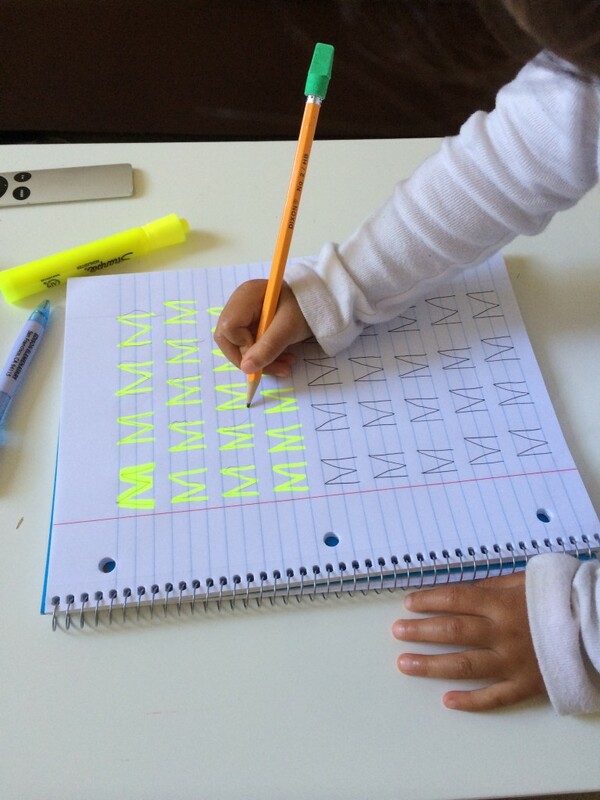 Easy way to help toddlers practice letter writing. 1. 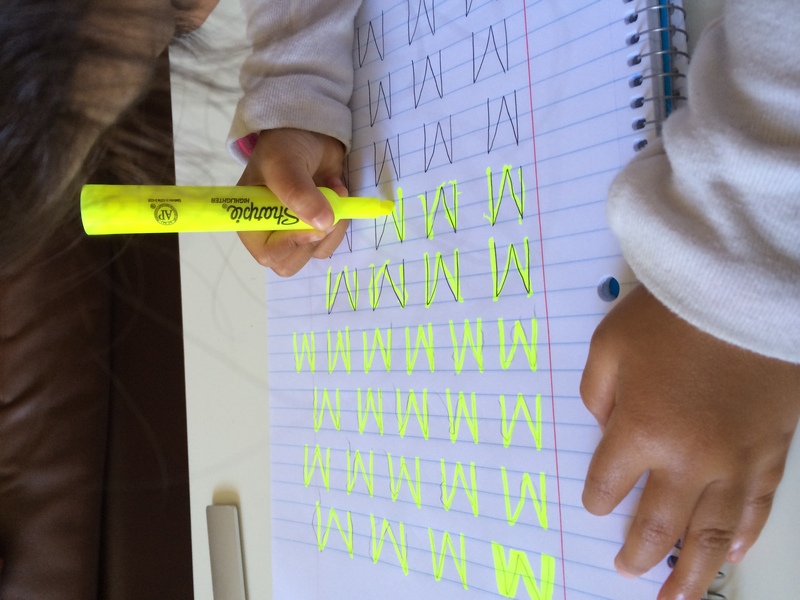 With a highlighter, write a letter in a repeated pattern to fill half the page. 2. With a pen, fill the second half of the page with the same letter in the same repeated pattern. 3. 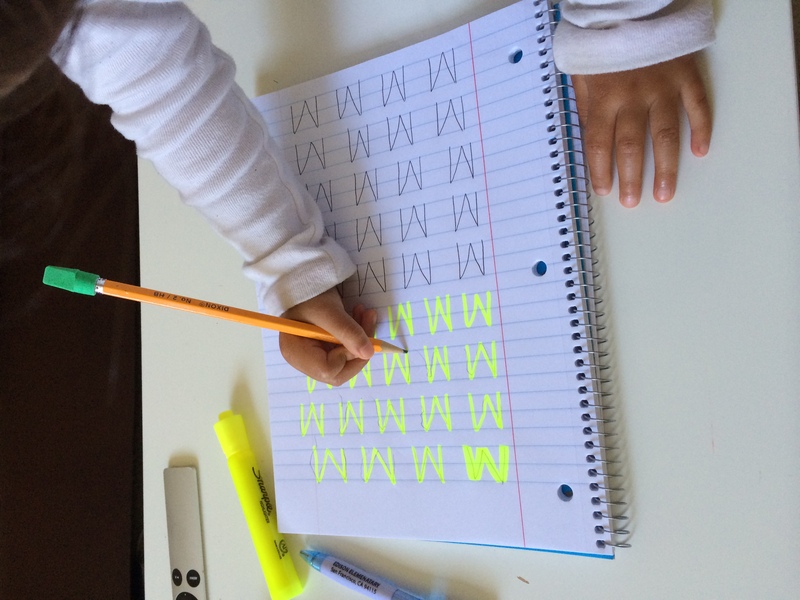 Allow toddler to trace the highlighted letters with a pencil. 4. 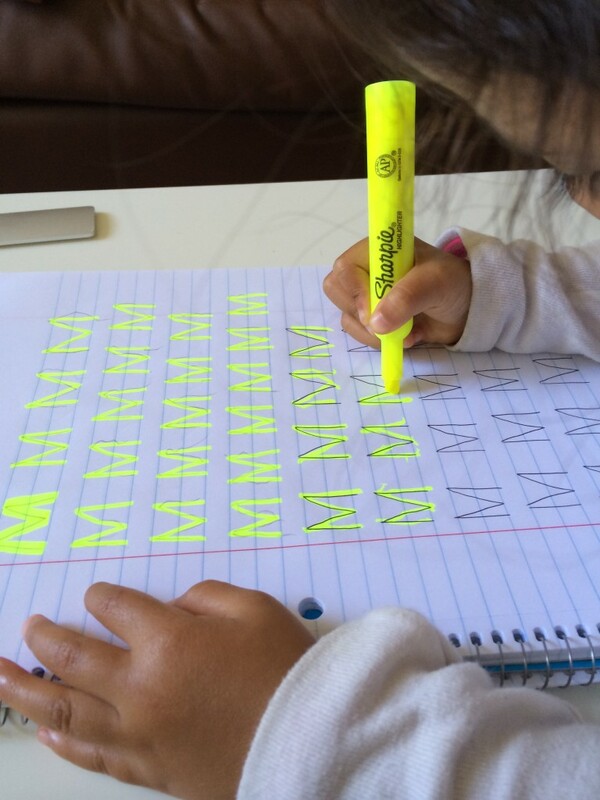 Allow toddler to trace the pen letters with highlighter. 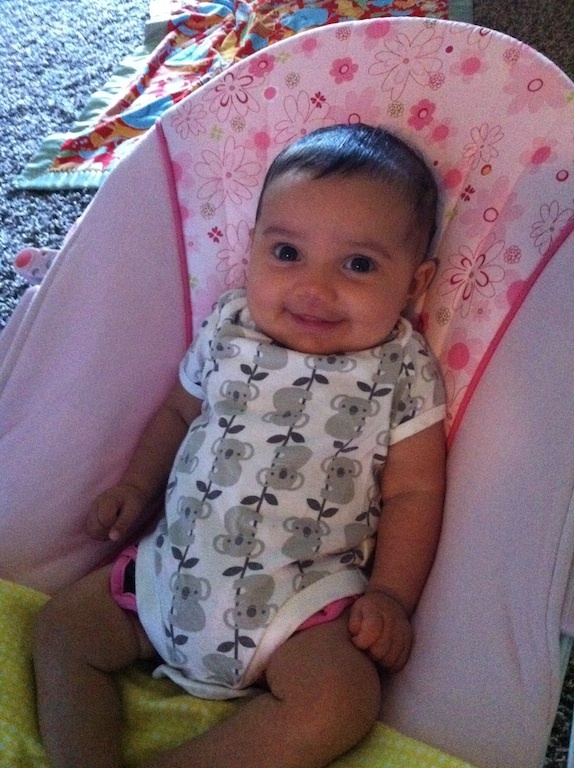 Why Do You Make Homemade Baby Food? 1. Bottled baby food is bottled, therefore, not fresh. 2. 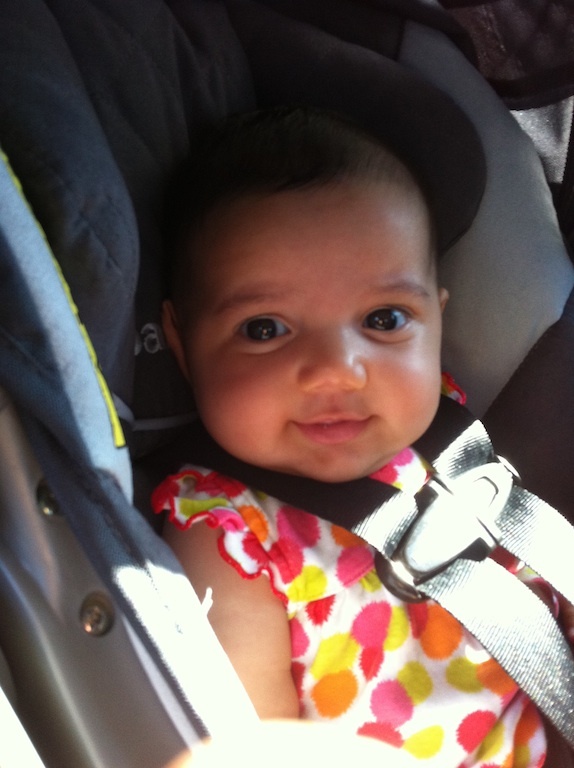 Store-bought baby food has additives that I don’t think are necessary for my child. 3. Why should I limit my child to only the few selections the store carries. 4. I want my daughter to be exposed to spices. 5. I am home with her so why not use some of my time to make food for her. 6. I put myself in my daughters shoes; would I want to eat processed food everyday? 8. 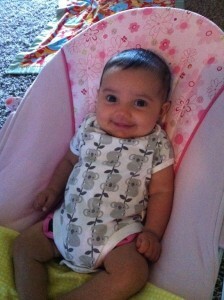 Transitioning into adult food will be easier because she will be used to the flavors that I eat. * Notice that I did not put “It’s less expensive” on my list. Some items are cheap to make, however, that is not one of my reasons for making baby food. 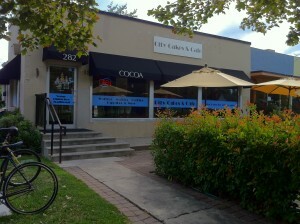 Today I meandered down to City Cakes & Cafe located on the corner of 900 south and 300 east in Salt Lake City. I thought maybe it might be a great idea to do reviews on local places so this is my first. Upon arrival I was a bit disappointed because there was no wheelchair ramp. These days I always have a stroller so when I didn’t see a ramp I was a bit annoyed (isn’t it a law?). I might have to invest in a stroller lock for these such encounters. The overall appearance is very nice and modern. I love the cozy feel it has. 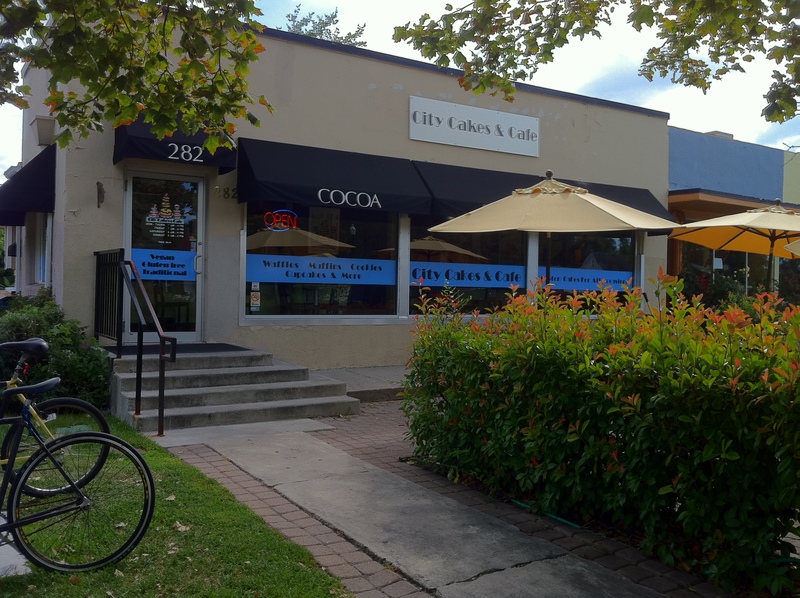 City Cakes & Cafe is a vegan friendly bakery and coffeehouse although I do believe they have traditional pastries as well. 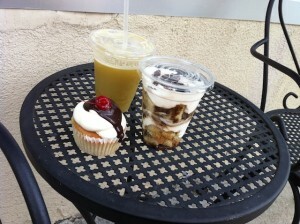 I ordered the chocolate dipped banana cupcake (for myself), tiramisu (for Liji), and a fresh grape-pear juice. The service wasn’t great and it wasn’t bad, it was just mediocre. The juice was amazing! It is hard to find fresh juice anywhere so I was very happy when I saw that they have fresh juice each day. Liji also loved the juice. I plan on going back to have the fresh juice more often. I wish that City Cakes & Cafe would use their twitter account to tweet the fresh juice of the day. The cupcake was really sweet. It was almost too sweet for my liking. I actually cut it in half and ate the second half the next day because it was so rich. My favorite part of the cupcake was the frosting. I hate butter-cream frosting, but since this is a vegan bakery the frosting was not butter-cream. I am not sure what it was made of, but it was so delicious. It was a vanilla frosting with a little chocolate ganache on top. Liji did not like the tiramisu much. He said the coffee on it tasted burnt and he prefers tiramisu with lady fingers rather than cake. I am not a tiramisu person, but I did have a couple bites and I really liked it. I actually think the soaked cake tasted better than lady fingers. 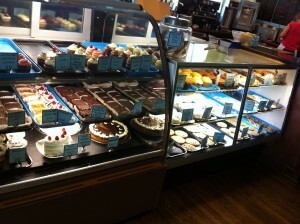 Overall, City Cakes & Cafe was a great. They also have a menu with savory items as well. I will go back and try some other items (I’m thinking the vegan mac & cheese). I love being a mom more than I ever thought I would. Mika makes me a happy mama.